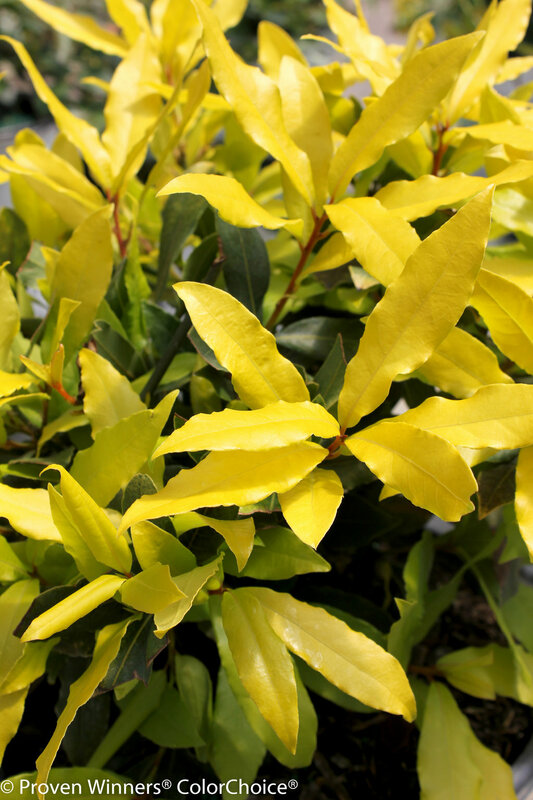 Grow your own bay leaves! 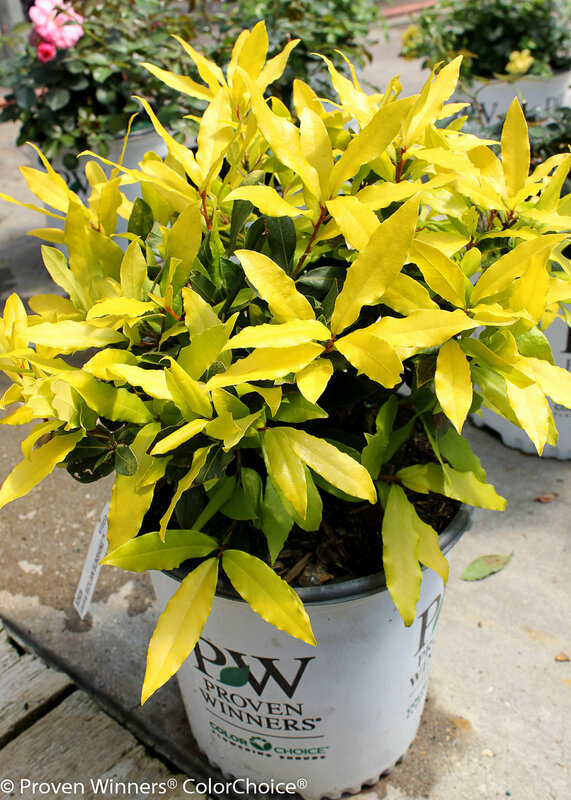 Sicilian Sunshine® sweet bay is the same plant where we get the bay leaves in our spice racks, but it offers cheerful gold foliage and red stems. 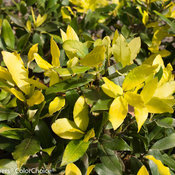 It grows 4-10' tall and will grow in full sun or partial shade. This USDA 8 plant is really best in Mediterranean climates, so it's not an option for those of us in colder climates. We can enjoy it as a potted plant, keeping in a very bright but cool spot indoors over winter. 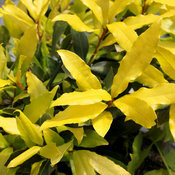 This bright evergreen is a nice accent plant. 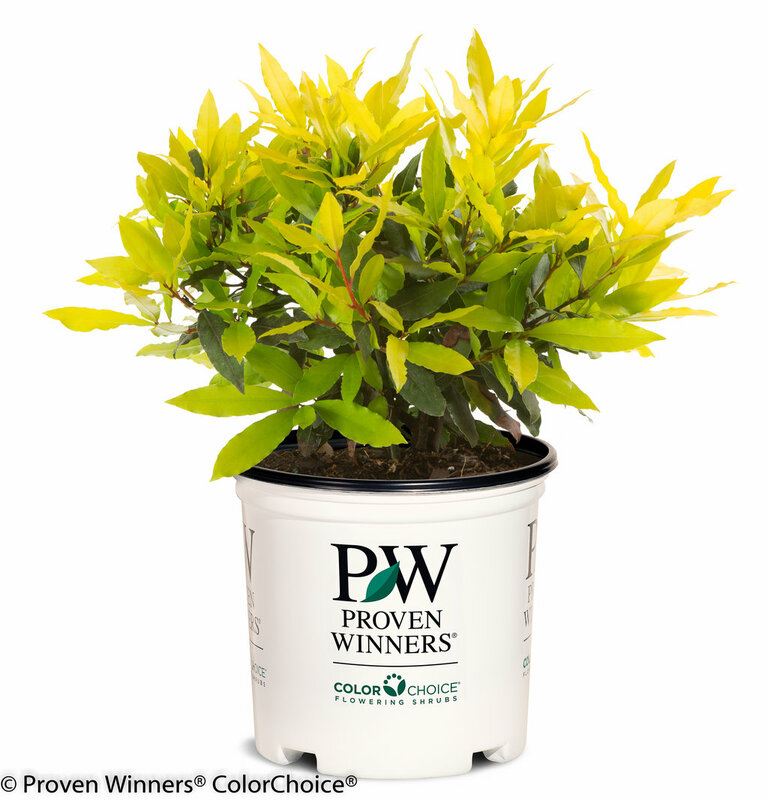 Best in well-drained soils. Prune in late winter or early spring. 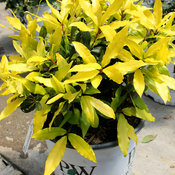 Bay leaves may be harvested as needed, and can be used fresh or dried. 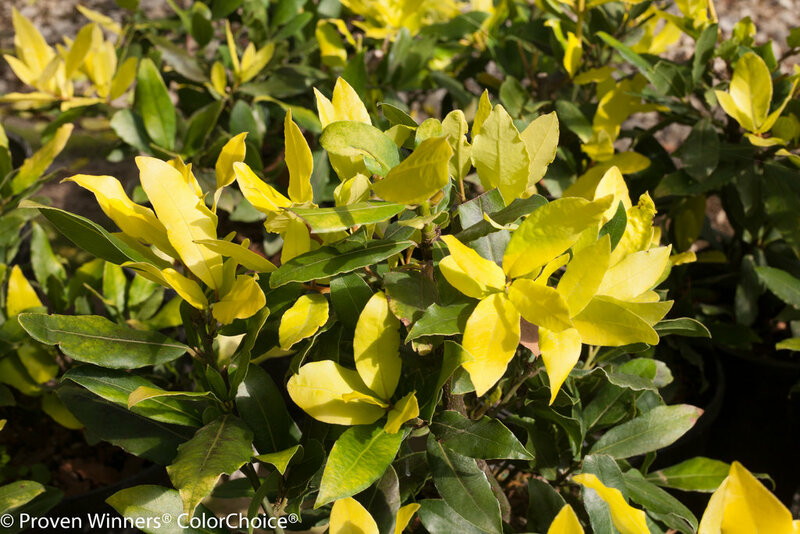 Our Sicilian Sunshine™ sweet bay is an ornamental selection, but you can certainly use the colorful foliage in cooking, too. Here's a great opportunity for anyone looking for something fun and new to showoff at Thanksgiving - a cute little sweet bay plant instead? Odds are you'll be using bay leaves in your feast.